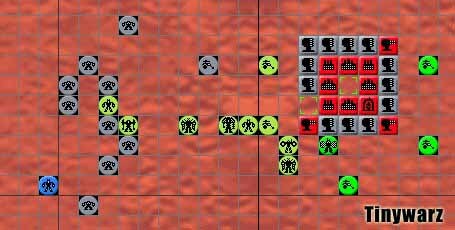 TinyWarz is a free massively multiplayer, turn-based game where players battle other players and computer controlled bandits on distant worlds. Time is an important factor in TinyWarz - players are given a limited amount of time to finish their turns and are rewarded for early completion. 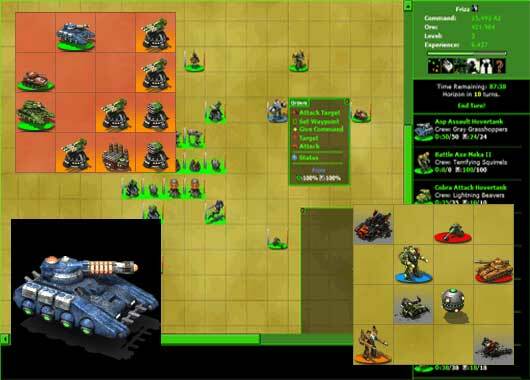 In TinyWarz, each player is represented by a commander which they can customize through skills and abilities that are purchased with level points.